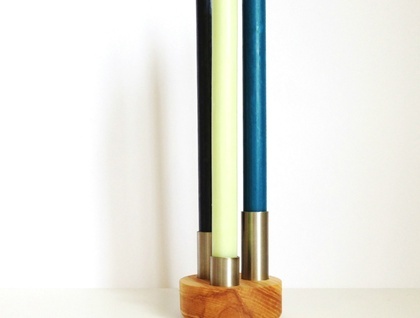 Our gorgeous triple 'oh' candle holders are handmade from American Ash and stainless tube. 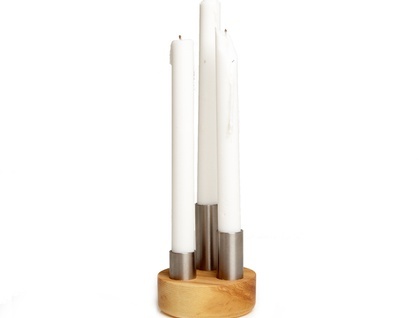 These candle holders will finish off your table setting beautifully, grouped together or on their own. Paired with our colourful candles they are simply stunning. Available in 2 finishes brass or stainless. Dimensions will vary with timber available - base 35 h x 100mm. Finished in a natural wax oil. Contact nannestad to enquire about payment or shipping options.